State Library Victoria – Music in the Movies or Music for the Movies? Music in the Movies or Music for the Movies? The ABC has recently run another of their always interesting Top 100 surveys, and this year’s effort devoted to Music in the Movies (and that title worried me from the start) has been perhaps their most interesting and yet most bizarre effort to date: this is my humble opinion of course, and in no way endorsed by the State Library of Victoria, the Government of Victoria, or indeed my next-door neighbour’s dog. The inclusion of classical music used in movies (34 of the 100 choices!) has left a list of almost exquisite oddness, where Parry’s Jerusalem can wind up at number 67 but not one score by the likes of Erich Wolfgang Korngold, Miklos Rozsa or Alfred Newman is anywhere to be seen, or more importantly heard. Imagine if the Classic 100 Symphony list didn’t include anything by Beethoven, Mozart or Mahler; crikey! I think that I have waxed lyrical about Erich Wolfgang Korngold previously, so I won’t go on for too long here. 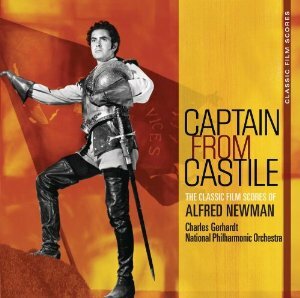 Suffice to say that his scores for classic films such as The Adventures of Robin Hood, The Sea Hawk, Captain Blood, The Prince and the Pauper, King’s Row, Between Two Worlds, etc., etc., contain some of the finest symphonic music written for any medium in the 20th century. And if you haven’t heard his sensational Violin Concerto, just click this way! You’ll find lots more Korngoldiana right here! Alfred Newman’s name appears on the credits of so many classic films that it’s hard to imagine how he found the time to compose, as well as act as musical director on many other projects as the head of music at 20th Century Fox! All About Eve, How the West Was Won, The Hunchback of Notre Dame, Wuthering Heights, etc., etc., ad infinitum. Need I go on? There’s more Alfred Newman here. 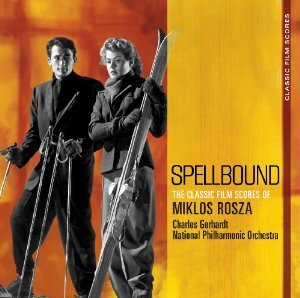 Hungarian born Miklos Rozsa was, like his contemporary Korngold, a composer who straddled the two worlds of the concert hall and the silver screen. Working with some of Hollywood’s greatest directors such as Alfred Hitchcock and Billy Wilder, his career in film lasted for almost 50 years and encompassed everything from the film-noir despair of Double Indemnity to the epic horizons of Ben Hur and beyond. He also wrote a rather wonderful Violin Concerto. Dimitri Tiomkin’s early musical life centered on his skills as a concert pianist in New York, but the vagaries of that livelihood in the 1930s saw a move to Hollywood and a rapid refocusing of his talents into composition for the movies. 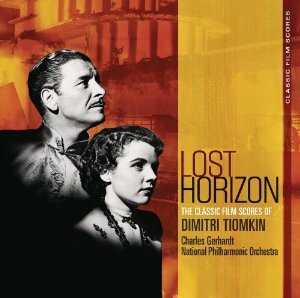 His score for Frank Capra’s Lost Horizon launched him into the major league, and classic followed classic as he worked with all the greatest directors of Hollywood’s golden-age. Red River remains a favourite. And a bit more of Maestro Tiomkin here. And that’s just the tip of the iceberg. Now I ask you, “Jerusalem”?! 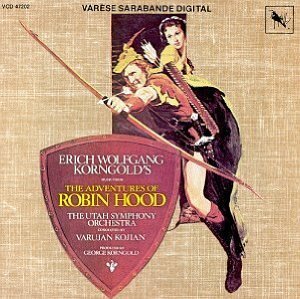 One of my very favourites is Korngold’s music for the archery tournament in the Adventures of Robin Hood. Magic. Another probably forgotten favourite is Newman’s score for Beau Geste.